A postpartum (period following childbirth) doula (companion to the birthing person) is a support person that meets you on the other side of your birth outcome. 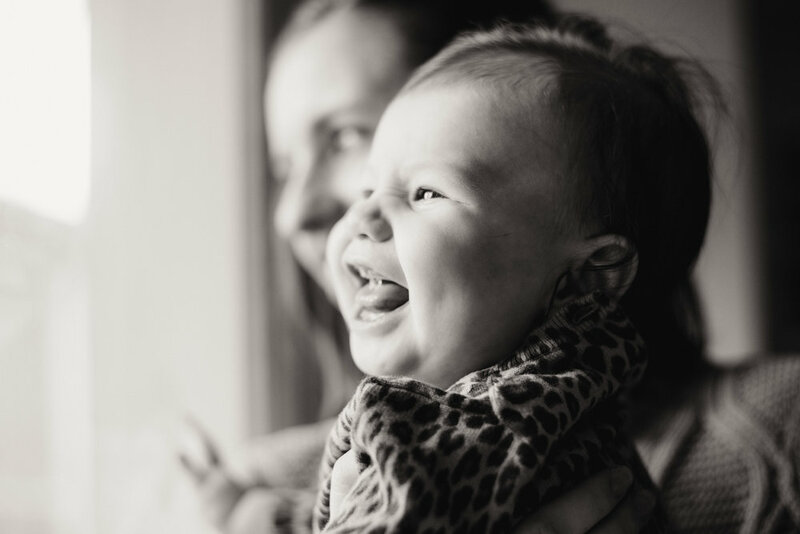 A postpartum doula offers physical and emotional support, evidence-based information, and in-home assistance to families as they experience the early stages of this profound life change. You may have received lots of education, resources, and support through your pregnancy, but have none of that infrastructure when you are at home with a newborn in your arms. Historically, postpartum support was provided by other family members, but any postpartum support has become an exception in the United States. A postpartum doula fills in that gap of care as a professionalized and trained non-medical care provider. what are the benefits of a postpartum doula? "Research by experts tells us what many have long suspected-that those new parents who have support and feel secure and cared for during this time are more successful in adapting than those who don't. Studies have shown that cultures in which women are cared for by others for a defined period of days or weeks and are expected only to nurture themselves and their babies during that time have superior outcomes in postpartum adjustment." In my role as your postpartum doula, I support you through your transition from pregnancy to parenthood. I provide services with empathy and without judgment. Lactation Education sessions can be scheduled separate from my doula services, for seventy dollars per a two hour visit. Mary’s passion for this work comes from a belief that children and families are the cornerstone of all human communities, and they deserve to be nurtured and treated with reverence. After years of working mostly with families with children of toddler ages and on, she noticed a pattern - parents were trying to care for their children from a state of compounded stress that began at their child’s birth. She was inspired to support families at the beginning of their journey together. Mary experiences childcare as a joyful responsibility, and her goal is to show the parents she works with how to experience the same. Mary was born and raised in West Seattle. She is an AmeriCorps and University of Oregon alumna. She has over a decade of experience caring for children as both a teacher and a nanny. Mary has taught in preschools and early education centers with various teaching philosophies (including Reggio Emilia and The World at Their Fingertips). She is grateful for the meaningful relationships she has built with children and parents along the way. Mary received her Postpartum Doula training and Lactation Educator certification through Bastyr University. She is a NAPS (Northwest Association for Postpartum Support) certified postpartum doula, and serves as the Membership Lead on the NAPS Board of Directors. When Mary is not doula-ing, she is probably walking along Alki with her family, cooking, reading, watching Netflix, or planning her next vacation. This event is hosted by West Seattle Doula Services and Jessica Mascher, LMT and Perinatal Services, and will take place at the West Seattle YMCA. We designed this event to help connect perinatal professionals and the community and families they serve. The providers attending are based out of South and West Seattle. Please come and enjoy the casual, kid-friendly meet-and-greet, where you can talk one-on-one with the support people you want to hire as you journey through parenthood. Please contact Mary Killeen Peña (westseattledoula@gmail) or Jessica Mascher (maschermassage@yahoo) with any questions. “Am I doing it right?” I asked my husband sheepishly, my tiny, hours-old baby pressed with a frenzied hand over my cloth-draped shoulder. Neither one of us had ever burped a newborn, and, as it turned out, he had no idea how to do it either. Two weeks later, alone with the baby for the first time, exhausted and overwhelmed, I cried for three hours over a load of undone laundry. I didn’t know then what I know now, after mostly “winging it” through my fourth trimester: Postpartum doulas are a thing, and they help with that kind of stuff. So who are these modern-day heroes and why did no one mention them to me? The issue is more complex than I thought. I had a conversation with Mary Killeen, a preschool teacher and nanny turned postpartum doula and owner of West Seattle Doula Services, about the importance of postpartum care, why it’s lacking in the U.S. and how our communities benefit when we support women and parents after childbirth. Read the rest of the interview at ParentMap.com. I am based in West Seattle, but will travel within 1 hour (about 20 miles).